I just finished reading Paul Kalanithi's 'When Breath Becomes Air' and wept my eyes out. Unnameable emotions overwhelmed me. I have always been awkward about death - graceless about the abrupt and unannounced way it departs with someone close to me, unable to believe in afterlife or hope that I would still be able to foster a meaningful connection beyond this moment, beyond that instance. I have protested in an undignified manner everytime death took away someone close to me (and there have been quite a few! )– loud and unhinged in a futile attempt to reverse the process and claim back what was mine. And one my colossal failure became apparent, I retreated into a shell of silence, muffled sobs and furious writing. In my attempt to understand this natural and inevitable phenomenon, I have been making attempts to read about it this year. I started with 'Smoke Gets in Your Eyes: And Other Lessons from the Crematory' by Caitlin Doughty. It made me aware of the post-death processes and helped me become a little less afraid of what happened to mortal remains. 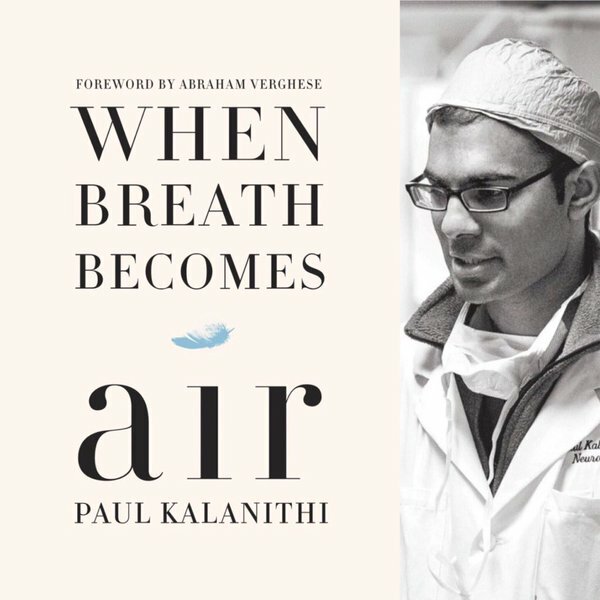 I then picked up Paul Kalanithi's posthumously published 'When Breath becomes Air', an account of his life and death and his quest to understanding the meaning of both. The book made me address my own mortality and that of those near and dear to me. Paul's writing sparkled with a flow and wisdom that most authors would envy. With an honesty and acceptance so admirable to witness, Paul shares with us the arduous journey he and his family had to undertake on the onset of his Stage IV lung cancer. Being a neurosurgeon himself, he battled both as a patient and fellow doctor to fight and accept death, while making his life as meaningful as possible. As a reader, hyperaware of his fate, I struggled within as I read about how bravely he faced his disease. The book made a fascinating read, increasing my respect for doctors tenfold. For the most part, to me, it felt like a philosophical treatise and at others, Paul's prose shone like poetry, reigniting his hikes, operations, struggles to live in our minds. Everything about his life's story made me realize that we have lost a truly wonderful person who not only was a skilled surgeon but also a great thinker, a neuroscientist in the making, a loving father-husband-son-brother and most importantly, a caring empathetic human. As I read the book, I wished to know more about him. What books did he love? Did he like watching films? How did his lovely wife Lucy and him come to fall in love? How did he manage to show up to save lives when his own was ebbing away? It was an emotional journey traversing which tugged within me anger, helplessness and irrational hope for Paul to beat the disease, despite being fully aware that he was no more. Somewhere through his words, Paul had become a relatable friend. Throughout the book, the evident end loomed over like a dark storm cloud waiting to erupt and engulf me. Questions kept rising their cruel head – if I were to meet with Paul's fate, how would I spend my life? Would I go out with grace, even if I was vulnerable? Do I have the strength and courage to even understand what death would mean despite being afraid of its sudden swift blow near me? For the most part, I had no answers. But I was grateful that the questions had been churned. It helped me bring my attention back to this moment, the now of life. Having struggled this whole year with my work, I had moved through the months only by taking one day at a time. Paul's book was a gentle reminder to plough on in the same way, convincing me that today is all we have so we better make good use of it. And to the man who wrote so beautifully, his wife who wrote such a beautiful epilogue that had me racking with tears and to the legion of family and friends Paul leaves behind, I just want to say that we readers are all mourning his loss and celebrating his life with you. We are all in this together! And the lifelong moral search Paul undertook to solve what makes a life worth living has been answered by his own book. THIS, the search itself and the authenticity and grace with which we live our lives, aware or unaware of what awaits in the morrow is the only thing that matters.